Awhile back, I posted my research efforts to find Elewisa Hubbard Gatewood Pierce, her death and place of burial. Since then, more information and wonderful tidbits have been uncovered. I finally received a transcription of Elewisa’s death record from the City of St. Louis Vital Records Office. Even though Friedens Cemetery records show no burial for Elewisa, or Louisa, Gatewood, her death record notes the undertaker – A. Kron – and her burial place – Friedens. The undertaker, A. Kron was a livery and stable outfit and goes under various names until the 1950s. It was located on Broadway in St. Louis and run by August Kron. Online forums suggest that the records have been lost. Elewisa died on 21 December 1877 in St. Louis from “chronic dysentry.” She was 72 years old, born in the U.S., and she was widowed. She might have been a widow of her first husband, William Jefferson Gatewood, who died in 1842, but her 2d husband, Jarvis Pierce, did not die until 1880. He was still in Harrisburg, Illinois, married to Unity, his third wife. Elewisa and Jarvis were divorced, so taking back her Gatewood name, she probably considered herself a widow. Meanwhile, her oldest son, William Jefferson “Jeff” Gatewood, had fought in the Mexican War and then gone to California at the time of the Gold Rush. He was in Sacramento in 1850 but moved to San Andreas some time after that. He was a lawyer – considered a good one by many – and he served at various times as the District Attorney for Calaveras County during the 1850s and 1860s. He was also the publisher for the San Andreas Register, a local weekly newspaper which ran from 1863-1868, when Jeff Gatewood and others moved to San Diego to publish a newspaper there – The San Diego Union. Jeff Gatewood might be best known in San Diego for establishing the San Diego Union, but in Calaveras County, up in the Sierra foothills, he is better known for the duel which he fought in 1859. Following up on my promise to find Gatewood Avenue in San Andreas next time I was up in Murphys, I did just that – and much more. A friend that I stayed with in Murphys, whose family has been in the area a long time, has a cousin with property south of San Andreas which borders Highway 49. 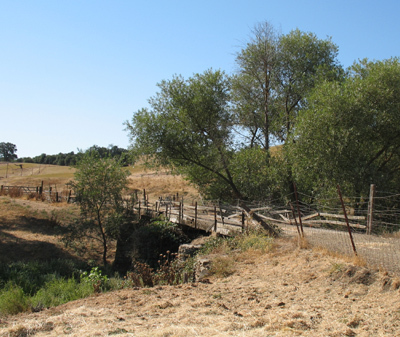 On his property is the old Fourth Crossing Bridge as well as the “old road” which led from the bridge to San Andreas. Fourth Crossing used to be an unincorporated community and you can find an historic marker for it nearby on Highway 49. 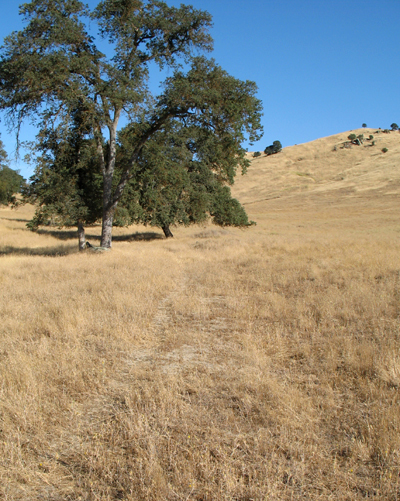 The area was first known as Foreman’s Ranch. The bridge across San Antonio Creek is the fourth crossing that a traveler had to make between Stockton and Angels Camp. Before meeting up with the cousin who generously agreed to walk up the old road with us, we went to San Andreas the day before to read all we could about the duel. The duel took place on 16 September 1859 at a spot along the old road called Moonlight Flat. No one seems to know exactly where Moonlight Flat is located, but, from what we read, it was supposed to be about a half mile from Fourth Crossing – the old Fourth Crossing which sits by the spot where the old Reddick Hotel was located. According to reports of the duel, the carriages carrying the dueling parties left San Andreas and headed for Third Crossing where the duel was to take place. For some reason they decided to go further, following the road in a southeasterly direction over the ridge, down through a narrow valley and onto a flat area – Moonlight Flat. If you are in San Andreas, Main Street is in the center of town – and the town was fairly small in the 1850s. If you cross Highway 49 to the west, where Main Street would continue, you are on Church Hill Road. The road, within a block or so, comes to the top of a hill on which sits St. Andrew’s Catholic Church and, across the road, St. Andrew’s Cemetery. The Church of San Andreas, established in 1852, gave the town it’s name. 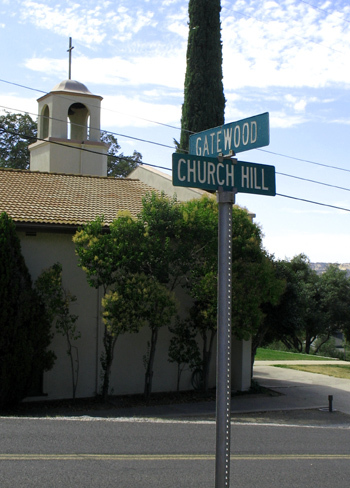 Another road, coming up from Highway 49, meets at this intersection with the church and cemetery – this is Gatewood Avenue. Gatewood Avenue is a short little street, more of a lane actually. Then Church Hill Road heads south, finally ending at Poole Station Road. We think that the carriages headed out of town on that September morning on Church Hill Road – there was no Highway 49 then – and that this old carriage road then joined what is now Poole Station Road. Further south, near Third Crossing, where a cement works is now operating, a road headed across a ridge, and down to the old Fourth Crossing Bridge. Knowing the person who owned the land was a definite plus. When he unlocked the gate so we could start up the old road, he surprised us by saying that we would walk up the old road – the one we had been trying to plot out the day before! He said he had even driven his truck up to San Andreas using the road. Road was not really an appropriate term – it was more like tire tracks. We first passed through acres of grapevines, destined to become San Domingo Creek wine. Then we continued on, following the old road further up the hill. Jeff Gatewood and Dr. Peterson Goodwyn supposedly each stood under an oak tree as they began to duel. Oak trees can live a long time, but whether either of those oak trees was still alive and standing was in doubt. Our guide told us that several years ago he watched a huge old oak tree fall during a wind storm – in the middle of what are now his grapevines. As we continued along, we looked for what we kept referring to as “the grassy knoll” – otherwise known as Moonlight Flat. We knew it had to be along the road. We just weren’t sure how far along. Since one version of the events placed it at about half a mile from Fourth Crossing, we most certainly would have gone right by the spot – and even further. There were many good spots that fit the bill. The carriages supposedly came down from Third Crossing, went over a ridge and then down a narrow valley before reaching the spot where the duel took place. We thought we might have found the narrow valley, but really, we were mostly guessing. Using Google Maps, and clicking on the Earth view, one can follow the old road from the old Fourth Crossing – not far from where San Antonio Creek crosses Highway 49 – up past the airport, Maury Rasmussen Field, on the east – to where it runs into Poole Station Road. Follow Poole Station Road up to the cement works and then veer off onto Church Hill Road and then into San Andreas. We believe that this is the route that the carriages might have followed to the duel, except in reverse. Duels at that time were starting to go out of fashion. 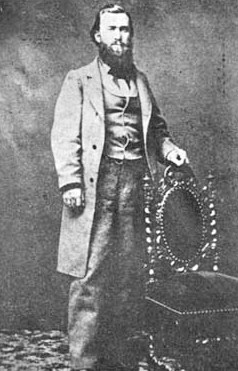 Various websites note that the last duel in California was between United States Senator David C. Broderick and Ex-Chief Justice David Terry of the State Supreme Court. 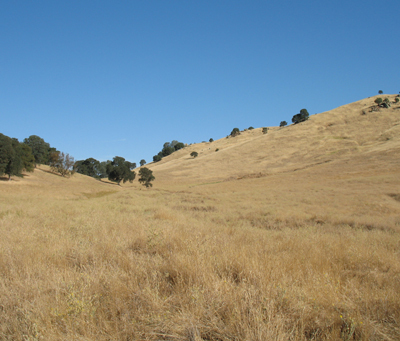 The duel took place near Merced Lake in San Francisco on 13 September 1859. The duel between Gatewood and Goodwyn took place three days later – on September 16th – so maybe it was the last duel. I felt less sorry for Dr. Goodwyn after reading that, despite many messages going back and forth, Dr. Goodwyn would not back down and call the duel off. Gatewood would have. On the day of the duel, Dr. Goodwyn, supposedly an alcoholic, was intoxicated to the point that Gatewood felt he should not aim to kill as Goodwyn could barely lift the rifle. Gatewood was advised to shoot to kill. Goodwyn was shot in the stomach, taken back to San Andreas in Gatewood’s larger carriage, and he died several hours later. Before he died he forgave Gatewood, telling him that he was an honorable man. Gatewood supposedly felt remorse over the affair the rest of his life, and some said that taking part in the duel pretty much ruled out a future in politics. Dr. Goodwyn was buried in the I.O.O.F. Cemetery in San Andreas. We were told the records have probably been destroyed. We did drive up to the cemetery. It’s now a city cemetery and there is a section that is I.O.O.F. and Masonic. This is most likely where he was buried. But that’s another trip. While reading the various versions and reports of the duel, we came across one J.N. Briseño – Joseph Narciso Briseño. Each party to the duel was allowed to bring two seconds. In addition there were one or more surgeons and also friends. Supposedly, one of the friends was Narciso, a boy who must have been about nine to eleven years old. He was known to be Gatewood’s “boy Friday.” After the duel, his family warned him to leave town, perhaps fearing repercussions. This was one story handed down to descendants, but whether that is true or not is unknown. Seems a bit young to bring to a duel or send off on his own afterwards. Narciso was the brother of my friend’s great grandmother, Isabelle Briseño Ponte. Narciso ended up in San Diego and worked for Gatewood and the San Diego Union. Philip Crosthwaite, the brother of Jeff Gatewood’s wife, Mary, had ended up in San Diego by mistake – a good one, though – and Narciso married one of his daughters. That’s also a story for another day. The photo of William Jefferson Gatewood is from the San Diego Police Historical Association webpage: http://www.sdpolicemuseum.com/Jeff-Gatewood.html. All other photos were taken by the author, August 2015. The Reddick Hotel sign is now hanging upstairs in the Historical Society Museum in San Andreas. The Historical Society Museum used to be the I.O.O.F. building and Jeff Gatewood and his wife lived in one of the upstairs rooms after they were married in 1857. The two ladies at the museum and the one lady at the Archives next door were all of great help in this quest, answering our questions, making copies and looking things up. 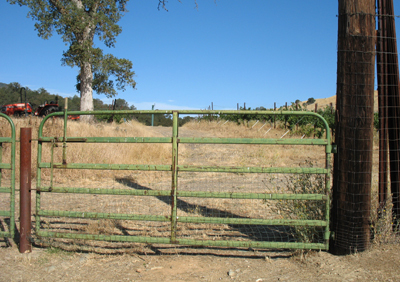 This entry was posted in Gatewood Family, Hubbard Family and tagged Elewisa Hubbard, Fourth Crossing, Moonlight Flat, San Andreas, William Jefferson Gatewood. Bookmark the permalink. I met you at the Calaveras Co. Archives last week. I really like your style of writing your experiences in research. Thanks, Maureen. You were a great help and we had such a great time on our search.